After days of speculating about the state of Alex Rodriguez's marriage it appears that the one truthful item out of this whole entire scandal is that he and his wife, Cynthia (can't bring myself to say "C-Rod" — yet) are not getting along. 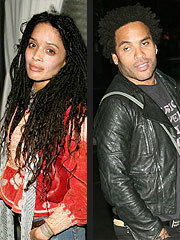 Late yesterday afternoon, the tabs and gossip blogs began reporting that Cynthia had been stepping out on A-Rod with former Huxtable-humper, Lenny Kravitz. But Cynthia's mother tells the Daily News that the reports about her daughter gallivanting across Paris with Kravitz are absolutely false. Regardless of what's going on in A-Rod's personal life— Madonna-related, marriage-related — Yankees' owner Hank Steinbrenner just wants Rodriguez and the rest of his team to just hit the goddamn ball and not worry about anything else. At least Jason Giambi listened to him. If anything, maybe this controversy will reinvigorate the vaunted Red Sox-Yankees rivalry that's been pushed out of the way by the Rays-Sox . It should be a fun weekend in New York.